Ten students represented Texas Chiropractic College (TCC) at an Interprofessional Education (IPE) session at the University of Texas Health Science Center (UTHSC) in Houston on January 17. TCC students joined students from medical, dental and pharmacy programs to engage in standardized patient encounters in an ambulatory patient setting. These standardized patient encounters included history taking and examination, as well as encouraged interprofessional communication and collaboration. Incorporating IPE encourages multiple disciplines in healthcare to collaborate in new and different ways. It aims to yield positive impacts on the health of individuals, the communities in which they live and their health systems, according to the World Health Organization. The Council on Chiropractic Education (CCE), one of TCC’s accrediting agencies, includes a separate meta-competency on IPE. 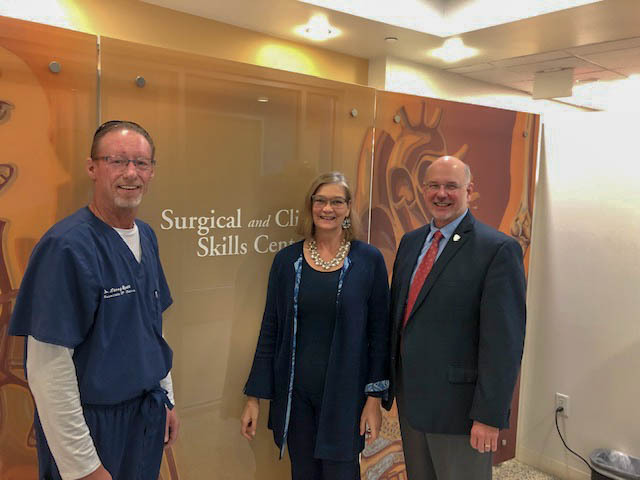 “Our students enjoyed the opportunity to engage with those from other healthcare professions and look forward to future interprofessional education events,” Dr. Mrozek said.